When Christopher Columbus spotted Caribbean Indians sleeping in cotton nets slung between trees he thought it was such a good idea he adopted it for his crew. By 1660 hammocks were widely used in ships & sailors sometimes had to share a double one. 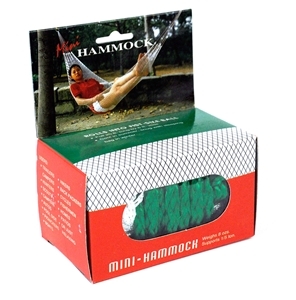 The name, hammock, is derived from the Spanish word hamaca. Wise old sailors still prefer to sleep in hammocks, even onshore, because they get a good night's (or day's) rest. 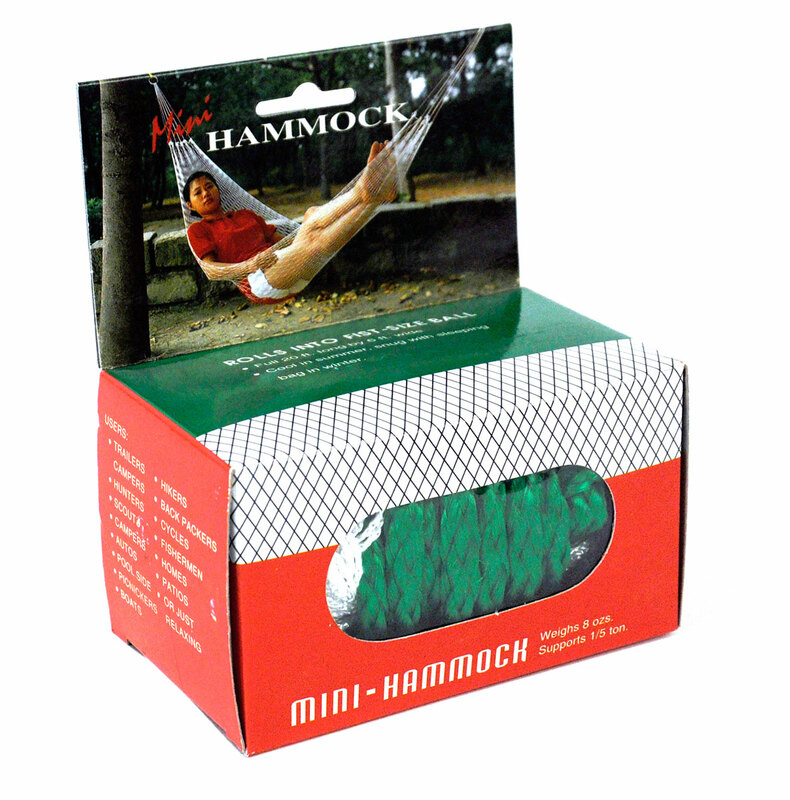 This frameless mini-hammock, woven from tough nylon, rolls up into a fist-size ball & slips easily into a pocket. It is equally useful for the garden or camping. • For persons up to 6’3"